The Latin language is an ancient language, the language of the Bible, considered dead by some. Now it is mostly the language of historians, yet it is used in many modern-day endeavors as well. If you need accurate Latin to English translation or the other way around, we are one of the best companies that provide Latin translation services at affordable rates. You’ve probably learned some Latin in school. You are using Latin words every day. You may have to deal with legal issues where Latin is still used. You may have your diploma issued in Latin. You may have connections with the Vatican whose official language is Latin. Reasons could be many, but if you need Latin translation, you can always count on us to provide accurate translations from and into Latin. Is Latin dead? While it is rarely used in daily communication today, Latin is still used in various fields including medical, literature, legal, not to mention the Vatican, where Latin is the official language. Your diplomas and academic records may be in Latin and if you need to have such documents translated, we will provide certified Latin to English translation at some of the lowest prices you can find. We are based in the US but we also have an office in Spain and as such we are available around the clock. If you’re tired of waiting for the other companies to reply to your emails, rest assured this won’t be happening with us. We will get back to you in mere minutes and we will always have an experienced project manager available to answer your questions about your ongoing projects or to give you a free quote. 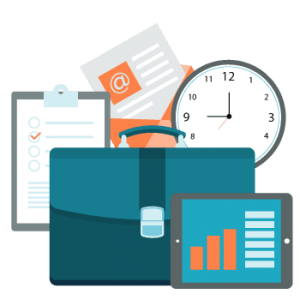 If you are looking for a serious partner that is available around the clock and can provide accurate translations in any field, Universal Translation Services is here to provide that. Get in touch and rip the benefits of working with experienced translation professionals without having to pay premium for it! Universal Translation Services is proud to work with a fantastic Latin linguist team who will cater to all of your Latin translation needs in full. Many modern researchers require Latin translation and are hence in need of a translator who is fluent in its many aspects. Whether it is New Latin or Renaissance Latin; we are here to give it the complete attention that it needs in order for it to be perfectly usable in your endeavors. We know that when it comes to Latin, every case is a new case and all stories are to be told again. Latin is the language that has passed through time and we pride ourselves as the heirs of this beautiful language. Your documents will be handled by two professional translators. The first translator translated the document and the second proofreads and edits the translation, spotting and correcting errors. 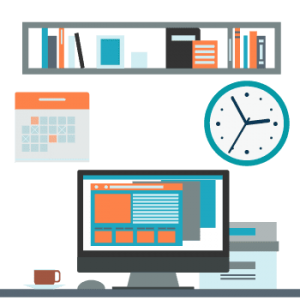 While there aren’t any native Latin translators, ours are highly experienced in this language and no matter what kind of document you need to translate, they will be able to do it with accuracy. Need Latin language translation for business? Calculate your price now! Certified Latin to English translation is actively perused by researchers as well as many universities around the globe. We are proud of our track record of providing accurate certified Latin language translation that can be used for any purpose. If you have your diplomas or academic records in Latin and you want to continue your studies in the US, your documents need to be accompanied by certified translation in order to be accepted by the university of your choice. In some cases the translation needs to be notarized as well. Luckily for you, we provide cheap certified translation services which come with our guarantee that the translation we provide will be accepted by any institution in the US. Certified Latin translation is also needed by many researchers because some of their work needs to be in Latin in order to submit it to specialized journals and academic institutions. The certification gives validity to the translated document he or she might have been dealing with. The content of the translation is of great significance and is to be taken very seriously. We are aware of that and we provide accurate translation services that you can count on. Latin is also still used in Central Europe, not for day-to-day conversations but in specialized fields like legal, medical and financial. If you need such documents to be translated, we provide certified or regular Latin to English translation services that will give you the quality required in your professional and personal modern-day dealings. If you are thinking of continuing your studies in the US and your documents have been issues in Latin or any other language we can help you with certified or notarized translations at the lowest price online. See our student discount translation page for more information. This is the language of Aristotle. Old Latin is the language in which Roman Empire was formed and the great texts of the beginning of democracy were written. We get various assignments where Old Latin translation is needed for political science curiosity if you can believe it. It has great use in modern discussion of prehistoric Roman writings and origin of humanity’s thoughts. Classical Latin is a treasure trove of modern philosophical discussions. It includes a lot of Julius Caesar and modern pioneers of philosophy among many others. We get many orders for Latin to English translation from customers who have textual needs of Classical Latin. Most of the content, of course, comes from Europe and we are more than eager to translate newly found Classical texts. But if you have an old text that you want to be translated with a new perspective and focus on a specific aspect of the writing, we are ready if not eager to look into that as well. It was the peak time of Latin culture, between the Roman Republic and August Caesar’s reign. The number of texts in the ancient Rome is the highest and most amazing to play in this era. We get classical literature, theology, philosophy and many other texts to look at. We have always open for you to explain the needs of your paper and you can work with our translators yourself to look for ideas, backgrounds and all things Latin that you want to find. Our translators are always interested in providing Latin translation services for business or for historical reasons. This was the downfall period of the Roman Empire and we get texts that discuss how this great nation failed even in its grandeur. It is basically medieval writing with a Beowulf-like sense of grandeur for the past. It is heavily derived from the Classical Latin and is mostly used by historians who are conducting research in the transitory period of the ancient Rome. Vulgar Latin was the language of the common man that is used to compare the Royals against common people. And yes, we do translations in Vulgar Latin as well. We are well-equipped to give you a great analysis of the different use of the language and how it’s treated differently by various classes. 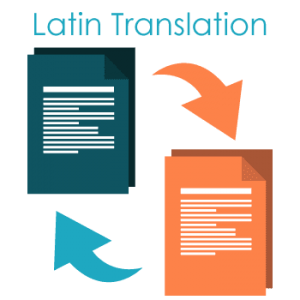 Our Latin translation packages are lively affairs that dive into all the details, no matter how unique, that our clients have asked for. These are our bread and butter. Romance languages are the various languages that are spoken by modern-day Europeans and we are very proud to say that we are fluent in all of them. These include Italian, Spanish, and many other European languages in regions right around the Vatican. As these languages are diverse and yet have the same origin, the translators find them intriguing. But we, at Universal Translation Services, are specialized in legal, financial, medical, media and web content to name a few. We take these modern languages seriously and look at their vernacular today to ensure that our Latin translation suits the modern needs. We are here to help you achieve your personal and professional goals and if you were looking for Latin to English translation, or for translations from and into any other language, you can count on us. We are the best Latin translators in business and we translate from every Era including Classical and Old Latin. We have experts at our disposal who make excellent translations while keeping your specific needs in mind. Visit our offices or get in touch online to get the best rates in town for Latin language translation. Do you know how many English words have been derived from Latin words? There are too many to count. But that in no way implies that both languages are somehow similar. This is why finding the best certified Latin translation services is not that easy. Especially, if it’s related to a religious book or folk tale. Books are written with a certain purpose in mind. When authors draft a book or transcripts, they not only keep the audience in view but also their concepts and perspectives. And if such significant texts are in Latin, there has to be a translation company that offers Certified Latin Translations. Luckily, our translators&#39; team is very talented and knowledgeable. With their unparalleled interest in linguistics, they are very specific about translating the documents, books and transcripts that contain historical facts, stories, judgements and teachings. Our Latin translators are well-versed and have been providing Latin To English translation services for years. globe. So get in touch with us through our instant communication tools today and share the details of your project with us. We assure you that quality translation services will be provided to you. We have no rush rates and we value our customers above anything else.